Three police departments were involved with the apprehension and arrests on Dec. 23 of three men from Luzerne County who police believe were illegally removing furniture from an unoccupied house in Mehoopany Township. Joseph Dickson, 47 of Trucksville; Charles Atkinson Jr., 38 of Luzerne; Kevin Isbel Jr., 35 of Hunlock Creek were each charged with burglary and overnight accommodations and criminal trespass of a building they knew they were not licensed to enter. Meshoppen police were dispatched to Sheehan Road in Mehoopany Township just before 8:30 am. Neighbors who had been watching the building for the owner were tipped off to the presence of the men when the couple took their dogs out in the morning and they began barking. A light colored truck unknown to the neighbors and later identified as a silver Dodge Dakota, was parked across the road. Officer Sierra Crane called PSP Tunkhannock for back-up. 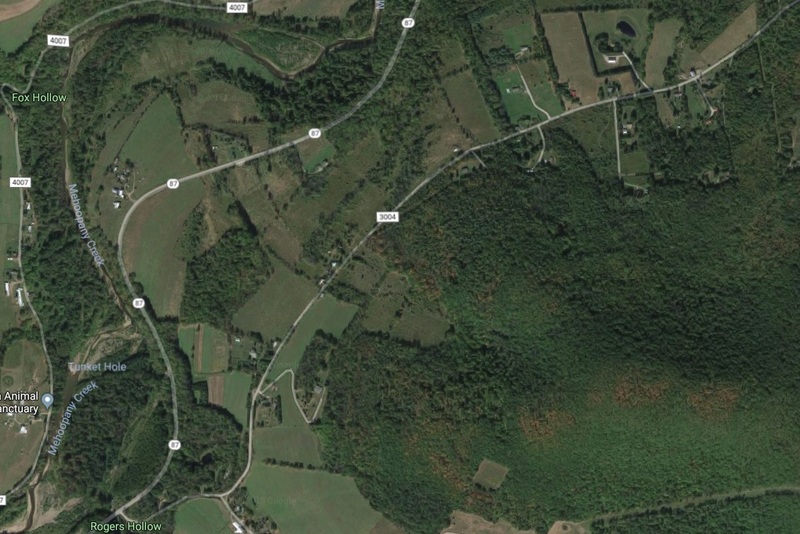 As she neared the scene, she noticed a white van parked on Maynard Hill Road, about a quarter mile east off Sheehan Road and asked PSP to secure the vehicle. The husband told Crane that he approached the rear of the house and observed the door to be kicked in, but indicated that the damage might have occurred prior to this instance. Just inside, he saw a large mirror and dining room chairs that had not been there a couple of weeks ago. The neighbor entered the structure and saw three men inside. He yelled at them and told him that he was going to call 911, as Dickson and Isbel ran upstairs and Atkinson jumped out a first floor window and ran into the woods. The neighbor told police that he followed the two upstairs and confronted them, at which time one of the men told him that their vehicle had broken down the previous evening and they needed help. The neighbor told police that he told the men that he was calling the police, and they ran down the stairs and out of the house. Dickson and Isbel both told police later that the neighbor had threatened to pull a gun on them, and they ran because they were afraid of being shot. There is no mention in the police report that the neighbor had a gun nor that he indicated to them that he had a weapon. Meshoppen police chief John Krieg, who also responded to the scene, confirmed that the neighbor did tell them that he had a gun but was not in possession of one. As they fled from the house, Dickson yelled to Isbel to get into the truck. The neighbor quickly maneuvered his own vehicle so as to block Dickson from driving away, so both men also ran into the woods. Shortly after interviewing the neighbor, PSP arrived on the scene with Dickson in custody. Dickson told the state trooper that his truck had broken down but he did not go into the residence. According to the police report, Dickson was in possession of a glass pipe commonly used to smoke meth. Route 6 Auto Body was called to the scene to remove both the pickup truck and the van. Police subsequently received a call from a resident on Sugar Hollow Road who said that a male, covered in mud, had just stopped as his home claiming to have broken down and in need of help. Krieg went to the area and picked up Atkinson. Atkinson named a woman other than the known owner, who had allegedly told him that she had furniture in the Sheehan Road house that he could pick up when he wanted to. He had gone to the house with Dickson in the van to get the furniture, got the vehicle stuck in the mud, and called Isbel for assistance. Isbel was subsequently seen walking on Sugar Hollow Road and picked up by a Tunkhanock Township police officer before being transported to the Meshoppen Borough Police office. In the course of his interview, Isbel concurred that Dickson had called him for assistance in getting the van out of the mud. After moving the van to Maynard Hill Road, they returned to the house in the Dodge truck. Each of the men maintained that they were unaware that they had done anything wrong until the neighbor came upon them and started yelling at them. Crane spoke with a family member of the property owner who confirmed that the men did not have permission to be there. Preliminary hearings for all three are set for Jan. 15.